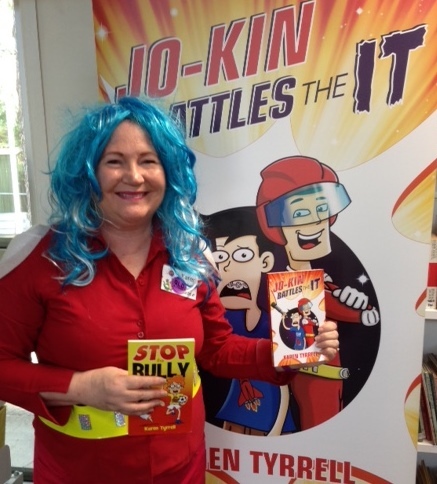 YIPEE, I presented a skit based on my kid’s scifi book Jo-Kin Battles the IT to Carole Park State School, Ipswich. Then I gave out FREE books from Australian authors to children, part of my role as a Books in Homes literacy volunteer. Carole Park State School is a delightful multi-cultural school with only 200 students. 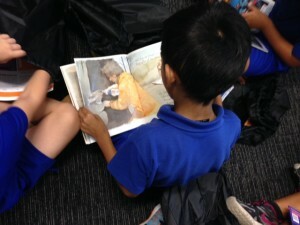 All students received three books each, thanks to their sponsor Mainfreight. What positive Messages did I share with Ipswich? 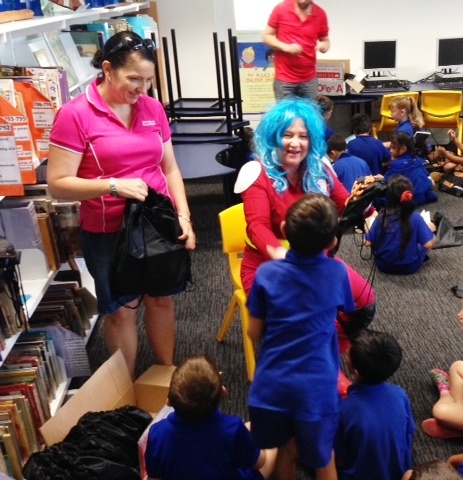 “My name’s Captain Astra: Guardian of the galaxy, protector of your brain … champion of the book. 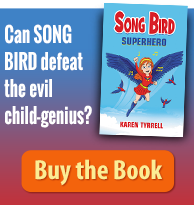 “In reality my name is Karen Tyrrell. I’m an award winning resilience author. “Reading helped to empower me to live STRONG and to dream BIG. 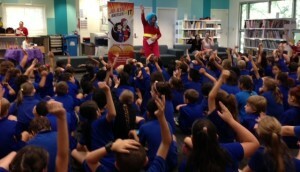 What Book did I read to Ipswich children? 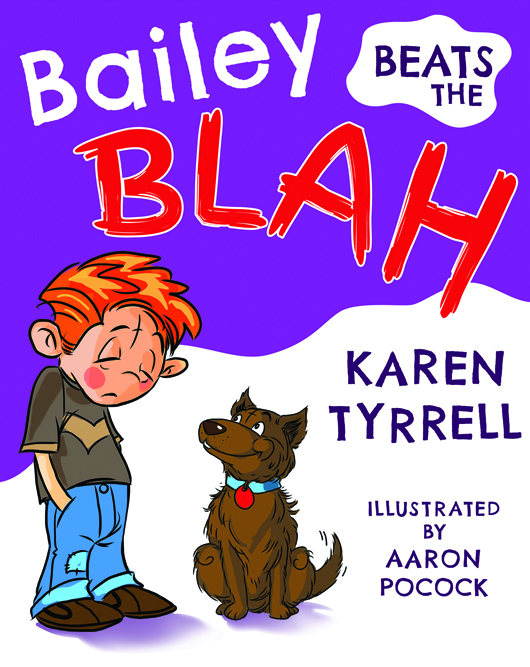 I read my picture book, Bailey Beats the Blah, sharing coping skills for anxiety and depression. 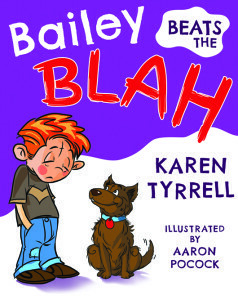 Kids responded to Bailey’s mood with BLAH: thumbs down or HA-HA-HA: thumbs up. Bailey is endorsed by Kids Helpline. Afterwards I dropped off copies of Harry Helps Grandpa Remember and Jo-Kin Battles the IT to a bookshop, A Lot of Books, Ipswich Mall. I delivered re-ordered copies of Me and Her: A Memoir of Madness, Me and Him: A Guide to Recovery and STOP the Bully – endorsed by Kids Helpline. I enjoy a close relationship with Angus & Robertson Riverlink, Ipswich. All my resilience books are available there for purchase. Soon, I’ll announce a book signing event there. I’m in discussion with Ipswich City Library about the possibility of presenting a pro-active mental health talk to Ipswich in the future. I LOVE the positive vibe of the City of Ipswich and plan to present many more author talks. Prepare your talk well in advance. Inject as much humor and positive interaction into your spiel as possible. 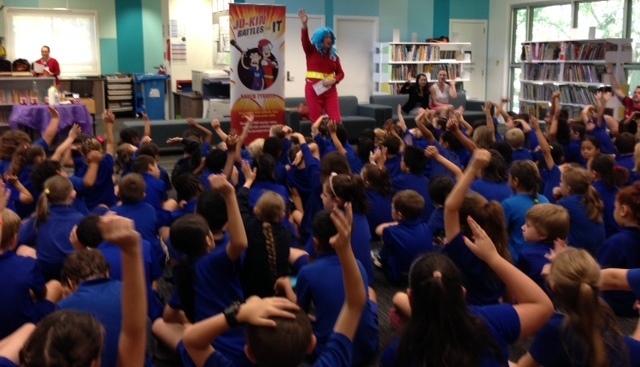 Go in character; wear a brightly coloured costume and a crazy wig or hat. 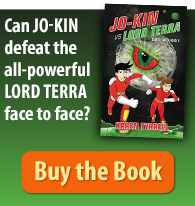 Practice your character’s voice and a skit or dramatization until YOU are the character. Bring your book banner and books. Plus copies of your teacher notes and follow up kids activities. Download HERE. Get the kids to react to your presentation in a positive physical way. Try hands up to a question or a survey OR a thumbs up / thumbs down reaction to a text . Give out bookmarks as prizes in your pop–up quiz. Allow kids to ask questions about your writing process. Tomorrow I present STOP the Bully, bully prevention talk to Shailer Park High School. Did my positive messages about reading and resilience resonate with you? Which Author Talk tip was helpful to you? The Books in Homes literacy initiative is absolutely wonderful. Karen had a great time addressing the kids on benefits of books, and even better when handing them out on behalf of writers. Carole Park State School, great kids, wonderful teachers, fun day for us all. Hi Karen. Great post. It looks like you has a great time at the school. 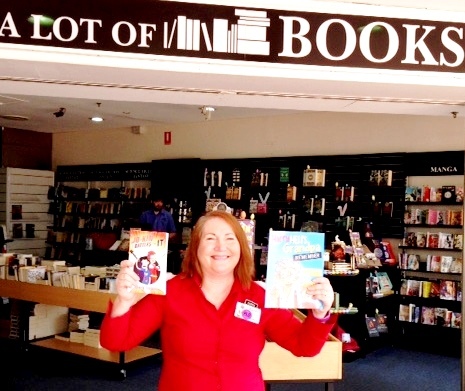 How wonderful to have such great support to be able to donate three books to each child. Wow! I always love how you dress up. I’m sure the children appreciate the extra effort that you go to, to get into character. I love all your hints and tips for author visits. Bookmarks are a great idea to give as prizes. I also liked the idea to have an interactive way to respond to questions etc. 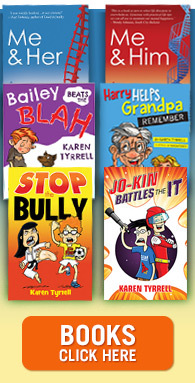 Thanks Karen for sharing your author life with us. Thanks Steve, for being my roadie Today. Thanks for your very kind and generous support for me and my resilience books. Thrilled you loved my tips on author talks in schools. PS The #600 books were written by Australian authors donated by Mainfreight. My job was to present a motivating talk on reading including a skit from JO-KIN and reading Bailey Beats the Blah.